Michael Kitchen’s impossibly adorable peekaboo smile – helping me get through this impossibly awful day. Once a place of opportunity where men like Sir Helmsley’s son, Guy, could fulfill their dreams, Cape Town today faces a future threatened by looming water shortages. Dreams have been turning into nightmares for residents, Rosa Lyster writes in her recent New Yorker essay, “Coming to Terms with a Life without Water“, and she goes on to lament that words like “agualation” have entered our vocabulary as the effects of climate change become increasingly evident. My troublous dreams this night doth make me sad. 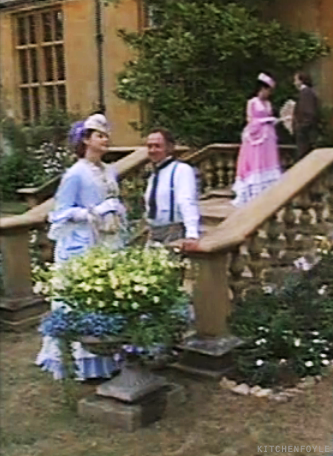 From the DVD bonus feature, Michael Kitchen chatting with Alison Elliot on the set of The Buccaneers. Dancing the Virginia Reel in the ballroom scene. Pity no behind-the-scenes footage of the negotiation scene. Glad Foyle doesn’t smoke. Wonder if MK had anything to do with that decision. Pivoting MK is matched only by pivoting Cherie Lunghi in “The Buccaneers.” Don’t you love the scene where he calls out to her as she walks away from him and she turns to answer? A lovely scene. Both MK and CL pivot like dancers. 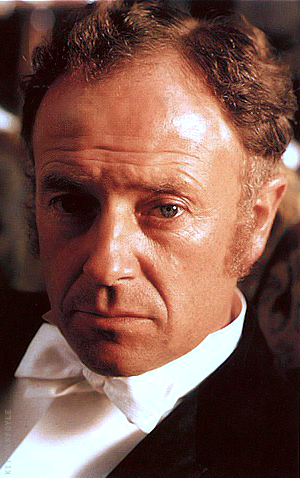 Playing Sir Helmsley Thwaite in The Buccaneers (1995), Michael Kitchen enjoys the after dinner pastimes of a late 19th century aristocrat. 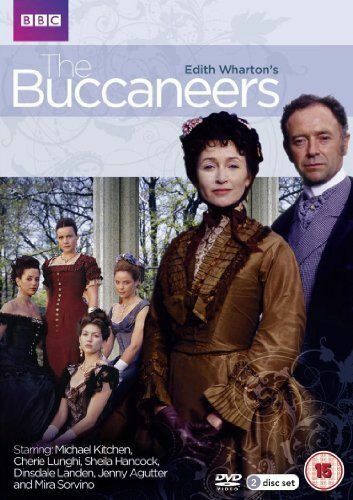 Sir Helmsley romances Miss Testvalley in The Buccaneers (1995). FYMK commented: Actually he plays the piano in The Buccaneers, and the oboe in Enchanted April, both of which I recommend. Yes, I forgot about the few short bars he plays in The Buccaneers. In Enchanted April I’ve always assumed that his oboe playing is just good miming, since the oboe is such a difficult instrument to play well. Few novices would be able to get more than a squeak from the instrument. If it is indeed MK playing the oboe, then I am beyond impressed by his skills!